Nine will air a special in which UK parents Kate and Gerry McCann talk about the disappearance of their daughter Madeleine, one year on. National Nine News Special: Madeleine: A Year of Mystery: Her Parents’ Story will air on Wednesday May 14. It airs for one hour at 8:30pm, except in Victoria where it airs at 9:30pm. The difference in start times is due to Hell’s Kitchen, already differing in timezones because of Underbelly programming. 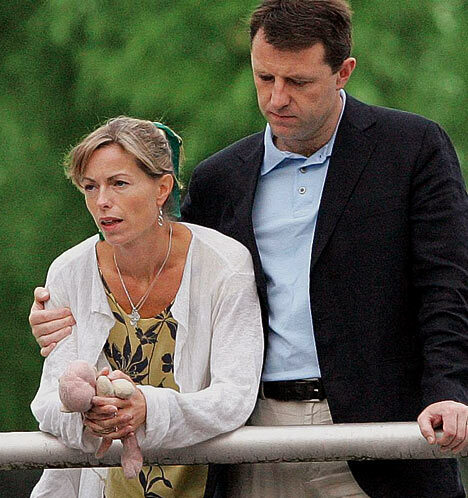 This Saturday marks one year since the disappearance of Madeleine McCann in Portugal. After a year of frantic searching and painful allegations, Kate and Gerry McCann talk openly about their daughter Madeleine’s disappearance. Hell’s Kitchen remains uninterrupted in all states on May 14. Update: GTV had planned to show a 2 hr version but has now fallen back into line with a 1 hr version. Kindly link to this site when sourcing on posting in messageboards, thanks!